Selena can understand what is going on within your relationship and deliver practical, meaningful, insight and guidance, to improve your situation. A Relationship Email Tarot Reading can really focus in on situations concerning partners and potential partners. It can also deal with situations regarding friends and associates. A Relationship Email Tarot Reading can give insight into people’s motives and/or fears, which can be extremely helpful, when trying to understand what is really happening within a Relationship. A Relationship Tarot Reading can also be used to discover the potential within a new Relationship. This can be especially helpful when starting out with a partner, or when considering embarking on a new Relationship. Selena uses The Faerie Tarot to highlight relationship dynamics, particularly the influence of emotions. When you have ordered your reading, you will be directed to a page where you can ask Selena your questions and share your concerns. She will get back to you as soon as possible. 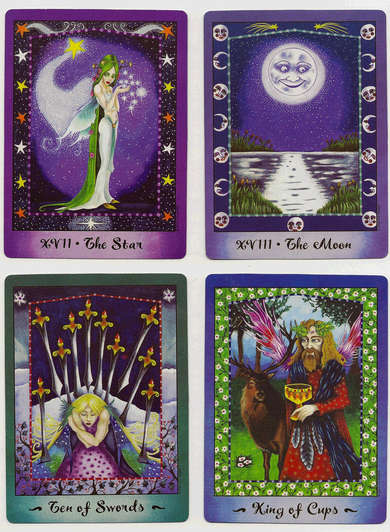 Your Relationship Email Tarot Reading will be ready within 3/4 working days.